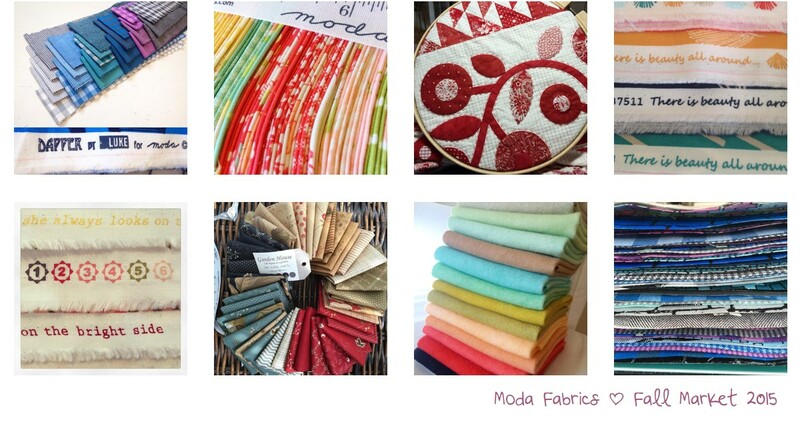 Do you follow our Moda fabrics designers on Instagram? They’ve been sharing some sneaks and peeks of their upcoming lines that will debut at Quilt Market later this month. Included are collections from some long-time Moda designers, some slightly seasoned, and some brand-new! Which one are you most excited to see in your favorite quilt shop? This entry was posted in Events and tagged Quilt Market, Sneaks and Peeks. i’m waiting for the latest from Me and My Sister Designs! The peeks look very exciting, so I can hardly wait! I’ll be there on Friday the 30th and can’t wait to see all the new fabrics!! I’m waiting for Laundry Basket Quilts, Edyta has such a great eye for color. I looked over the ebook of all the new fabric lines. There are so many new ones. Love the colors of the autumn lines but my favorite is gooseberry. Love how the colors complement each other.